The new law took effect July 1 of last year, and some property owners drew literal lines in the sand to keep people off beaches they claimed as their own. 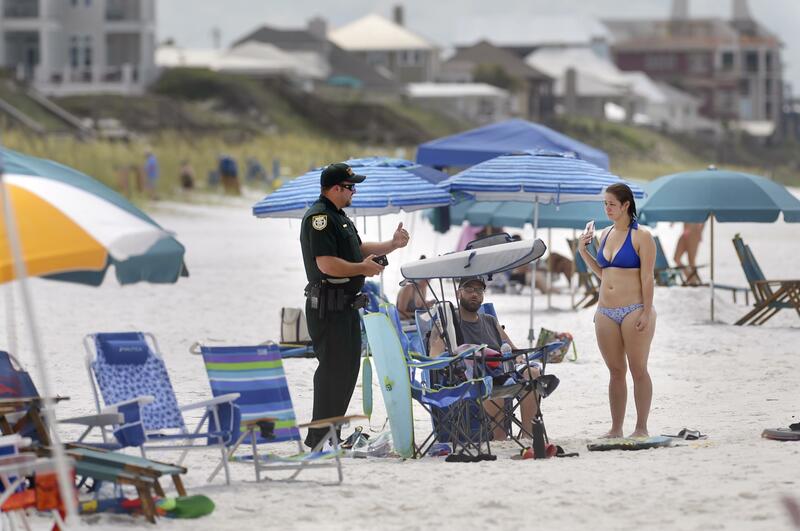 Beachgoers, both residents and visitors, took offense, and sheriff’s deputies spent the summer mediating trespass disputes. As a result of the standoff between the property owners and the county, some visitors will again encounter “private property” and “no trespassing” signs to their left and/or right the instant they step off a public beach access and onto the sand. They’ll be obliged to walk in some cases on wet sand to get to a place where they won’t be accosted when they find a place to sit.